We all used to love a bit of Nintendogs on the Nintendo DS back in the day, looking after our favourite digital doggos while they bounced around the screen in pure joy, but this story gives the word 'Nintendog' a whole new meaning. STV News has shared the story of Rocco, a Staffordshire Bull Terrier who was taken to a veterinary hospital after falling ill. An X-ray discovered that a Nintendo DS cartridge was snuggled up inside his small intestine, no doubt causing a saddening amount of discomfort. You can see it in this tweet below. Thankfully, an operation to remove the game was carried out the very same day and he has since made a "brilliant recovery". Interestingly, Rocco's owners have no idea how the DS game got there in the first place. Owner Sean Johnston, 27, said: "He wasn't acting himself at all and we were worried he'd eaten a corn on the cob, but we were so shocked when the vet said it was from a video game. "We don't own a Nintendo or anything like that so we're baffled as to where he got it from. "He's a rescue dog and we've only had him for about six months so the only thing we can think is that it was from his previous owners - who knows how long it's been in there. 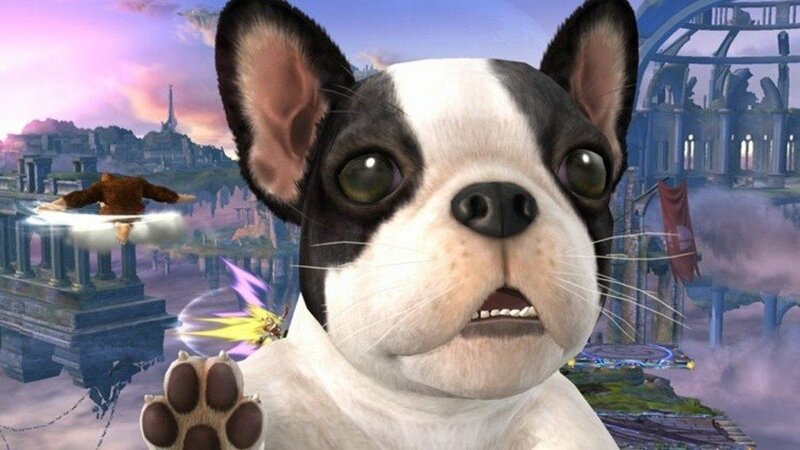 It hasn't been revealed which particular DS game Rocco swallowed so, for all we know, it actually could have been a copy of Nintendogs. At least any dogs in families that own a Nintendo Switch shouldn't face the same problem - we imagine DS cartridges taste absolutely divine when compared to the vile taste of a Switch cartridge. @Bunkerneath Unlikely it's a Switch game, remember all that talk of how bad the cartridges tasted?! This made me lose faith in humanity. "We don't own a Nintendo or anything like that"
I don't own a Volkswagen or anything like that either. @Rob3008 It's a dog, they eat anything however how bad it tastes. Also to be fair the switch cartridges don't taste that bad. where da hell is my direct today ahn ahn??? Could have been some stupid kid who (accidentally) threw their cartridge onto the ground which the dog might have found during a walk. You know how dogs are. Who cares what game it is though? Just glad the dog is alright. I once had all my Pokémon washed - I'd left a cart in my trouser pocket which went through the washing machine. Amazed they survived? I wonder if the game the dog swallowed was still playable. @Bunkerneath Sweet, dinner sorted for this evening so. @Knuckles-Fajita It's Glasgow. If it's a Nintendo console, I mostly hear it called the Nintendo. If it's anything else, it's usually called a PlayStation, even if it's an Xbox. Also, it's Glasgow and they own a Staffie. They're lovely dogs but let's just say that the owners aren't usually the sort that play Nintendogs. For anyone who was actually wondering why Switch Games taste like Satan's cooking, now you know. My guess is that it's the japan-only game Jump Superstar. Why? Because the copy I have got all chewed by my cat (and that never happened to any other game I own), I guess it's just a very tasty game for animals. I don't think many dogs give themselves the chance to enjoy the flavor of what they eat. Not to mention the game doesn't look like it was chewed on all that much. It could probably happen with a switch game too. So be careful with your games and pets. ...What game was it? I'm dying to know.